The most obvious element I've taken from the original cake is the appearance, but other elements include a marzipan layer, pastry cream, and red raspberry jam. 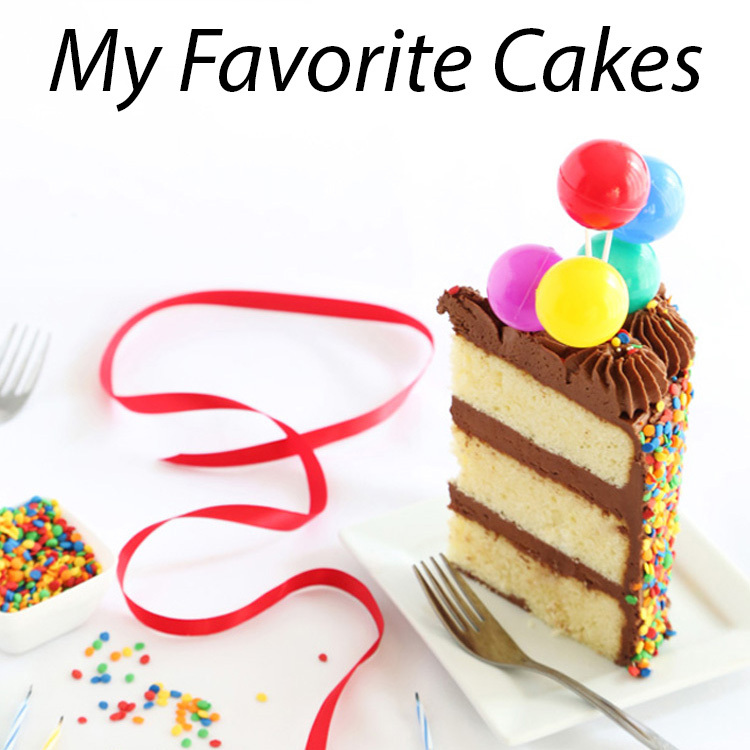 I chose to use a sour cream cake batter as the base instead of a sponge cake and I flavored it with chardonnay. If you are serving these to kiddies, just switch out the chardonnay in the pastry cream and cake batter for sparkling white grape juice. Be sure to check out all the other goodies we're showering on Kristan at the links below! Preheat oven to 350 degrees. Line a standard-size muffin tin with plain cupcake papers. In the bowl of a stand mixer fitted with the paddle attachment, cream together butter and sugar until light and fluffy. Add eggs one at a time beating well after each addition. Add vanilla and mix. Whisk together flour, baking soda, baking powder and salt, set aside. in a medium sized bowl, whisk together 1/2 cup chardonnay and 1/2 cup sour cream (mixture will fizz and bubble a little). Add flour and chardonnay mixture alternately, beginning and ending with flour. Batter will be thick. Fill cupcake papers with 1/4 cup measures of batter. Bake for 17-22 minutes. Set aside. In a medium bowl, whisk cornstarch in 1/4 cup of heavy cream. Combine the remaining heavy cream, sugar and 1/2 cup chardonnay in a saucepan; bring to a boil then remove from heat. Beat the whole egg and egg yolks into the cornstarch/heavy cream mixture. Pour 1/3 of boiling chardonnay mixture into the egg mixture, whisking constantly so the eggs do not cook. Return the remaining chardonnay/heavy cream mixture to a boil. Pour in the hot egg mixture in a stream, whisking constantly until the mixture thickens. Remove from heat and beat in the butter and vanilla. Cut a divot into the top of each cupcake and fill with 1/2 tbsp. pastry cream and 1/2 tbsp. raspberry jelly. Trim the cut-out cake pieces flat to make a "lid" and place on top of the filled divot. Roll the marzipan out on a work surface dusted with confectioners sugar. Cut 3-inch rounds using a round cookie cutter or pastry ring. Re-roll marzipan scraps and cut more circles as needed. 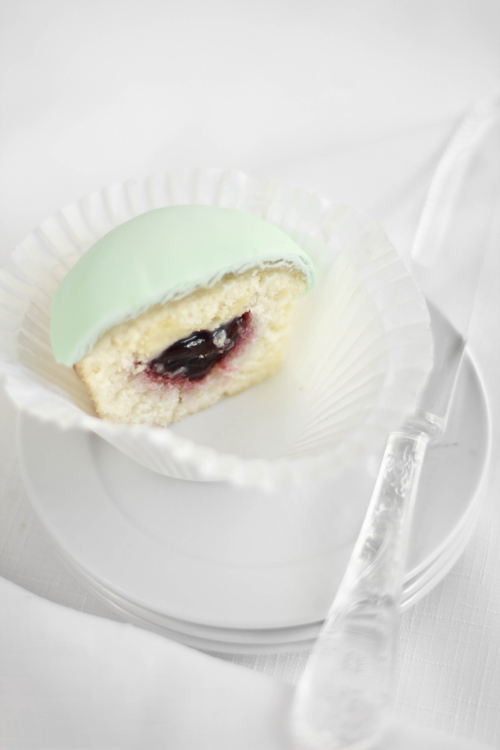 Lay a marzipan circle over the top of a cupcake and press the edges down onto the cupcake, creating a perfectly smooth top (picture). If the marzipan doesn't want to stick, you can brush the cupcake with a little water using a pastry brush before applying the marzipan. Repeat with remaining cupcakes. Roll out the green fondant and cut 3-inch circles as before with the marzipan. Roll each circle out a little larger using a fondant roller. 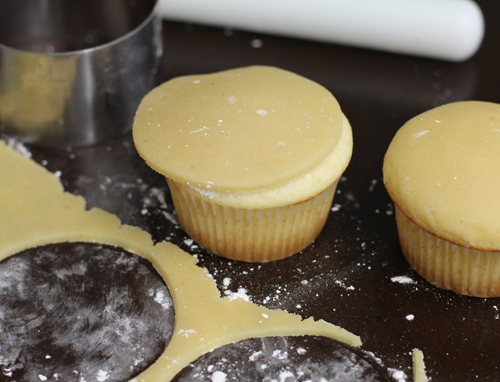 Place circle over a marzipan'd cupcake and gently smooth over and around the cupcake top using cupped hands. Trim off excess fondant using a small, non-serrated knife. Place fondant covered cupcakes in white ruffled papers (I double up on these for extra-ruffly effect!). Roll out pink fondant and cut into 3/4-inch strips. Roll up strips from a short end to form a rose bud. Pinch off excess and place on top of fondant covered cupcake. 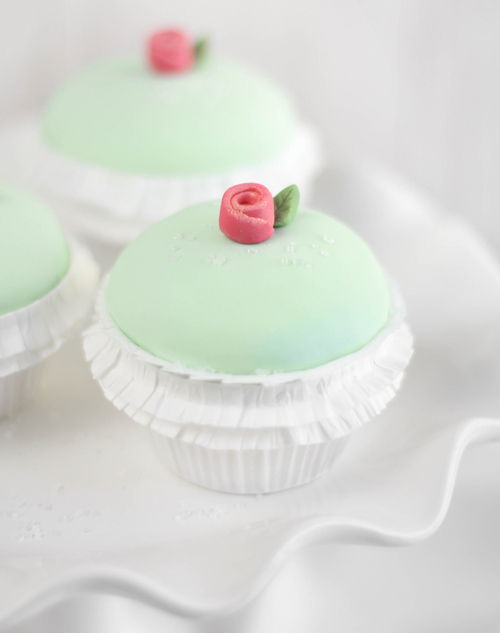 If it doesn't adhere naturally, moisten the bottom of the rose bud with water, then apply to top of cupcake. Roll out the leaf green fondant and cut out tiny leaves with a plain-edge knife (I did this without a template or cutter). 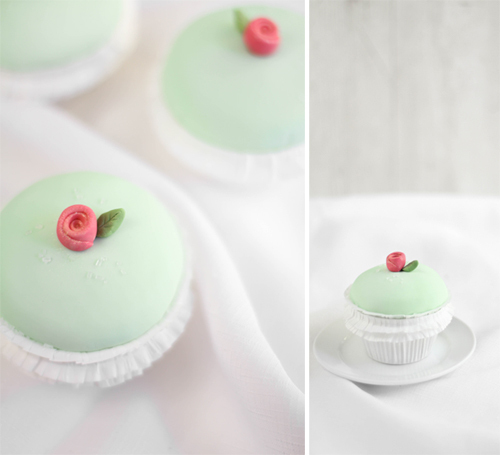 Apply the leaf next to the rosebud by pressing it onto the fondant; brush with water if necessary to help it adhere. Brush rosebud with gold luster dust. Store in an air-tight container in refrigerator. Bring to room temperature before serving. Odense Marzipan Candy Dough, 7 Oz. Extremely pretty and so refined looking! well it's swedish and not swiss, isn't it? Oh my. These babies are absolutely stunning. I just love the sweet little English rosebud on top of each, and the idea of Chardonnay Pastry Creme has me more than a little excited. Wonderful idea to celebrate Kristan and Lucy! GORGEOUS Heather! Chardonnay in the batter?! oh my word that sounds amazing!! Happy shower day for Kristan and baby Lucy! You continue to amaze me! Chardonnay in the pastry cream? You must live in my brain! Oh my goodness. These are so dainty and delicate. Absolutely gorgeous! Wow. These are so elegant and perfectly precious for a baby shower. Oh my! I would pay good money for these! A tea party with you and my sweet girl would be a DREAM COME TRUE. For serious. I absolutely love these. I am just so blessed and feeling super special this morning. Thank you for being such a great friend. me encanta el corazón tierno! 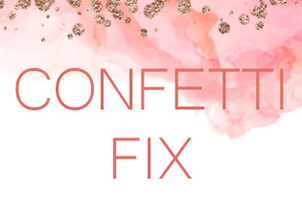 How perfect for a girl's first tea party! :D I can just picture Kristan making these for Lucy when she's older. I just love how dainty and precious they are! My daughter would go nuts for these. They turned out so nice, Heather, and the ruffle on the wrapper makes them even more perfect (as if it were possible!). Those are just beautiful Heather! 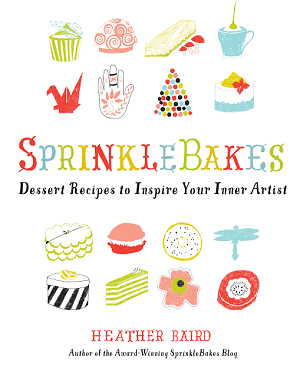 You have such a wonderful talent, and are a big inspiration to the aspiring baker in me! These are the most lovely creations! I'm pretty sure I've never seen anything quite as dainty and cute as these! These are so amazingling beautiful and perfect!! These would be incredible at a fancy tea party!! You are a princess too sweet Heather. These cupcakes are so dainty and sweet. Hugs and LOVE sweet girl! So excited for Kristan and Lucy! The princess cupcakes are the most beautiful cupcakes I have seen. They are perfect in every way. And the filling sounds absolutely amazing! Heather!!! These are absolutely GORGEOUS!!! I actually squealed a little when your page opened. These are just. precious. Wow! 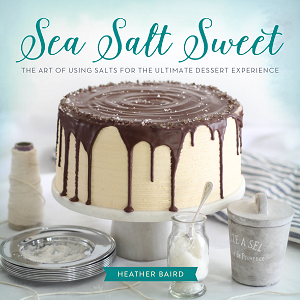 So sweet and stunning, Heather! They're just too beautiful! As Swede I must say they look like perfect little prinsess tårtor! I made a full size one myself not long ago. This a brilliant celebration cake and a great Swedish tradition! Simply gorgeous.....sooooo classy. Kristan is going to love these! I think these are the most adorable cupcakes ever. I love these and just printed the recipe. I hope mine will turn out 1/4 as pretty as yours. I mean they literally are just for a princess! These are just the perfect cupcakes for a baby shower. You can't get much more fitting for a princess! These are just gorgeous and so fit for a princess. I really can't get over how beautiful these are. So pretty! 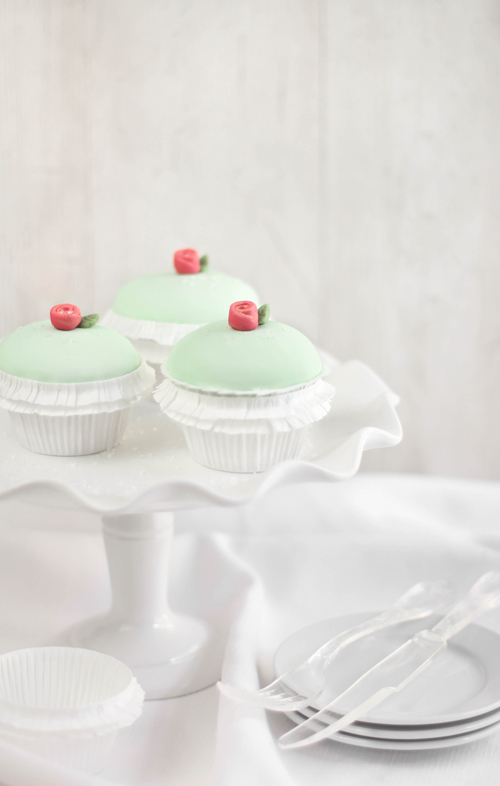 I am catering a bridal shower in a few weeks and these would be perfect :) Thank you for sharing the recipe! LOOOOOOVE those. (And I love the name Lucy!) Great name. So pretty. So perfect for Kristan and baby Lucy and so wonderfully photographed. Awwww so sweet and elegant. These are just perfect and the flavors are great. So cute! I love pretty cupcakes! This was my bday cake every year when I was little - we lived near a Danish bakery. Princess Torte has a special place in my heart. Aww too cute! 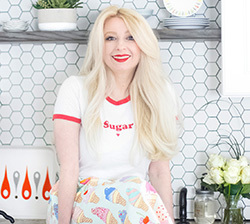 Perfect for the Cookbook Queen! These are sooo soo cute! I really wish I could decorate like this. I'm not sure if I commented before or not, but even if I did, I have to say- these are still some of the most gorgeous cupcakes I've ever seen! How beautiful! This will be perfect for my daughter's 1st birthday. Thank you!